Despite being necessarily collaborative, filmmaking can be lonely. And that loneliness can start to affect you — not just personally, but creatively as well. It’s hard to do good work when you don’t have people behind you. 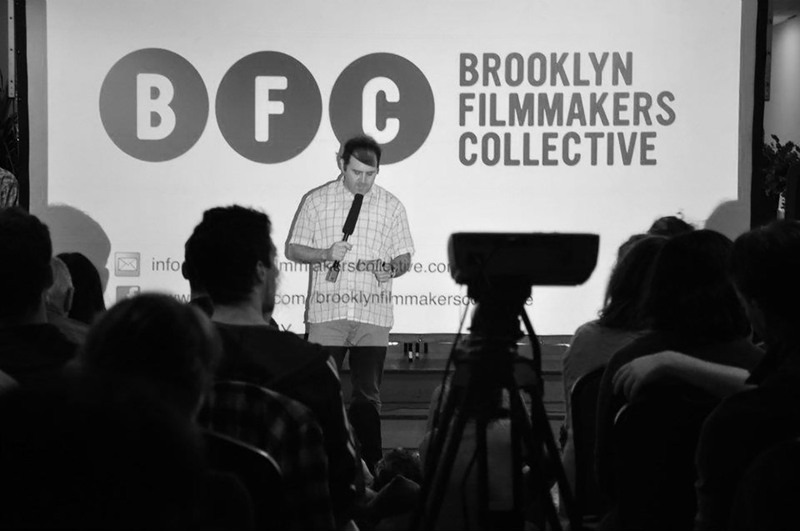 A few months ago we interviewed Lily Henderson, and she mentioned being part of something called the Brooklyn Filmmakers Collective (BFC), a community of filmmakers who meet regularly to critique work, discuss projects, and just be together. We were intrigued. And now, after talking with more members, we’re inspired. Collectives seem to be at least one way of fighting off the loneliness and, in the process, creating some really amazing work. We’d love to see more of these collectives pop up. We hope what follows can serve two purposes: an inspiration and a guide. Hoping to get some background information on the Collective, we emailed one of its founders, Landon Van Soest, and asked him for an overview. 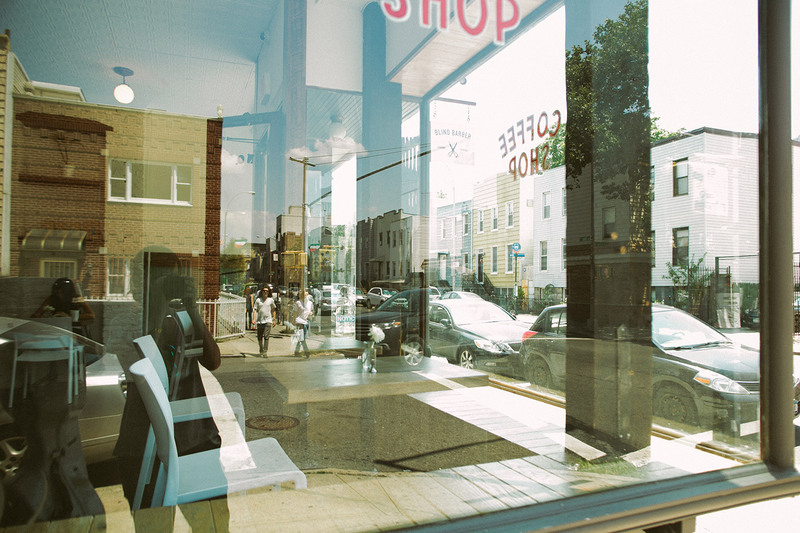 What he sent back resonated with us so much, we went ahead and pasted it below — a sort of introduction to not only the Brooklyn Filmmakers Collective, but also the idea of collectives as a whole. Beneath that: Our interview with three BFC members: Lily, Alex, and Shahir. Hope you had a nice Thanksgiving. Here are some rambling thoughts on BFC. Of course, feel free to take what’s useful and throw out the rest. Filmmaking can be a really isolating process, especially for those of us interested in nontraditional approaches. We pour ourselves into projects that often span several years, with precious little outside support and no guarantee that anyone will ever see our work. So it’s easy to get lost in yourself. Having a community around you to support and push and challenge what you’re doing is essential for me, and I think it’s why so many people flock to places like Brooklyn to do creative work. The concept for BFC is, and always has been, very simple — get a group of talented filmmakers in a room, show each other what we’re working on, and get feedback on how to make it better. The idea grew out of a college class that really had no instruction or theory, just a group of film students who would present projects every week and be held to critique by the rest of the class. I think I grew more as a filmmaker over the course of that semester than ever before or since, partially because we were forced to get out of our heads and deal with the way others were experiencing our work; partially because I was going through the experience in tandem with a group of peers that I respected; and largely because I really got to know everyone in the room very well — what their personal goals were, what their tastes were, whether or not I agreed with their opinions of other people’s work, etc. We tried to instill each of those things in BFC — everyone in the group is a filmmaker in creative control of their project (we don’t allow people who are solely producers or DPs or editors or composers) that they are required to present, and we strive to keep the group small so that everyone knows each other and has context for where feedback is coming from. We also don’t workshop anything that is a work-for-hire, so there is little talk about professional development and we come together purely through a shared passion for filmmaking. I’m proud to say that what has grown out of those simple guidelines is a truly supportive community, a collective voice that keeps each of us honest, and hopefully a sense of pride in being part of something larger than yourself. It’s been heartbreaking for me to see how many wildly talented filmmakers have fallen away from it because (in my opinion) they didn’t have this kind of support or the prowess to put together funding, crews, distribution, etc. on their own. Maybe the most gratifying experience for me has been hearing some of our most accomplished members say that they wouldn’t have continued to make films if it were not for BFC. I’m not sure what I can offer as advice, other than attesting to the fact that there is a huge demand for these types of communities. We regrettably turn away close to 100 filmmakers every year that we just don’t have the capacity to accommodate. A collective like the BFC doesn’t take much money or a tremendous amount of effort to organize. Our only significant cost is renting a meeting space, which we cover entirely with small membership dues. 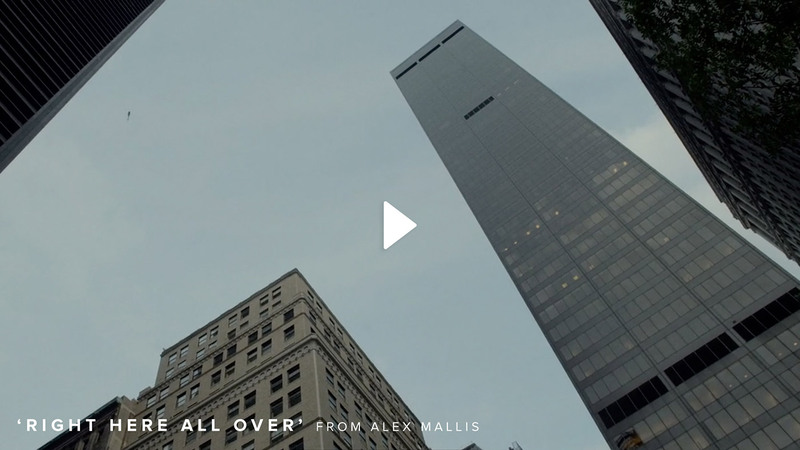 Other collectives, like the Film Fatales, rotate through each other’s apartments, so they don’t even have that cost. The most important aspect for me has always been operating on a level of mutual respect. I am in absolute awe of the filmmakers in BFC. I think each of them is a wildly talented, with a unique approach and point of view that inspires me personally and, I think, raises the bar for everyone in the room. I hope there’s something there that’s usable. If you have more specific questions, please feel free to reach out. 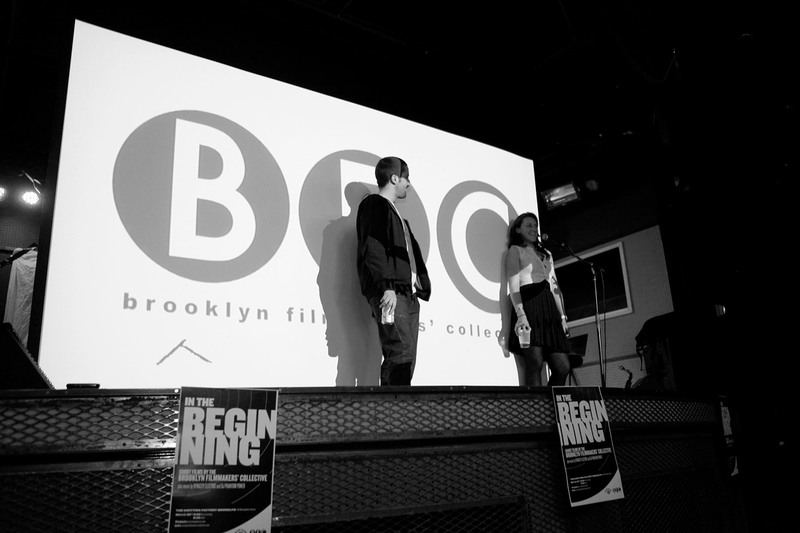 What brought each of you to the Brooklyn Filmmakers Collective? What did it offer that you weren’t getting elsewhere? Lily: I had graduated from college two years earlier and had been making documentary films. 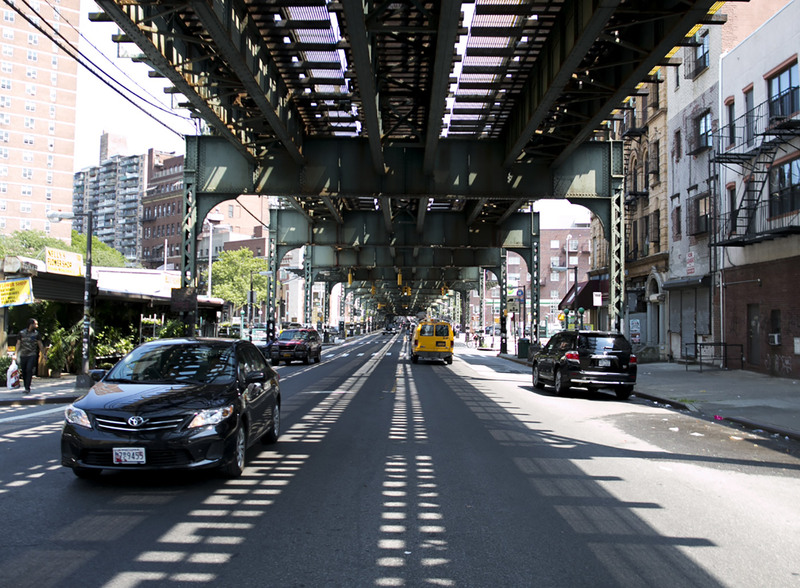 I was a curator for UnionDocs, but gradually I had started to wane from making my own films. I didn’t have any support network. In college you have a lot of peers who help you make your films. They offer a lot of helpful critique. But in the real world, there wasn’t any support system, and I really started questioning if I was ever going to make anything ever again. Then I heard about Brooklyn Filmmakers Collective. At the time, I had an idea for a film, but the reason I started making it was because of joining a group of filmmakers. I felt motivated and supported to start making work again. I owe a lot to this group. If nothing else, just for making me feel supported. Alex: Similar to Lily, I moved to the City and wanted to pursue filmmaking. 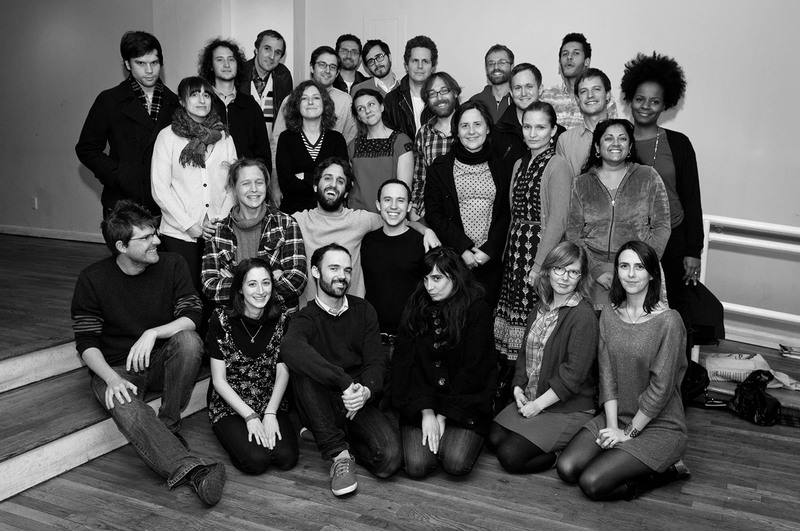 I had an internship at UnionDocs, which is where I met Lily. She introduced me to the Collective and I was immediately struck by it. I knew this was something I wanted to be a part of. There was this very apparent sense of community. I said, “Oh, this is productive, this is interesting and helpful in so many ways.” I’ve stuck with it ever since. Shahir: I moved to New York about 4 years ago. I’m from New Zealand originally, which has a small filmmaking community. If you’re in that community, you know everyone. So if I needed to make something, there were always people I could call. When I moved away from that network, I found it very difficult to get anything made. I didn’t have a network of people. I can’t remember how I heard of it, but I kept seeing filmmakers I liked say they were part of this thing called the Brooklyn Filmmakers Collective. I decided I wanted to join. My big thing was that I wanted to be around filmmakers I looked up to. Can you guys tell me more about the structure of the Collective? Alex: Sure. So, to step back a bit, we’re a collective of about 50 filmmakers, all at varying levels of involvement. Some of us are very active, some less active. We break things up into a fall season and a spring season, and at the beginning of every season we have signups for new members. The bread and butter of the Collective are the weekly meetings. 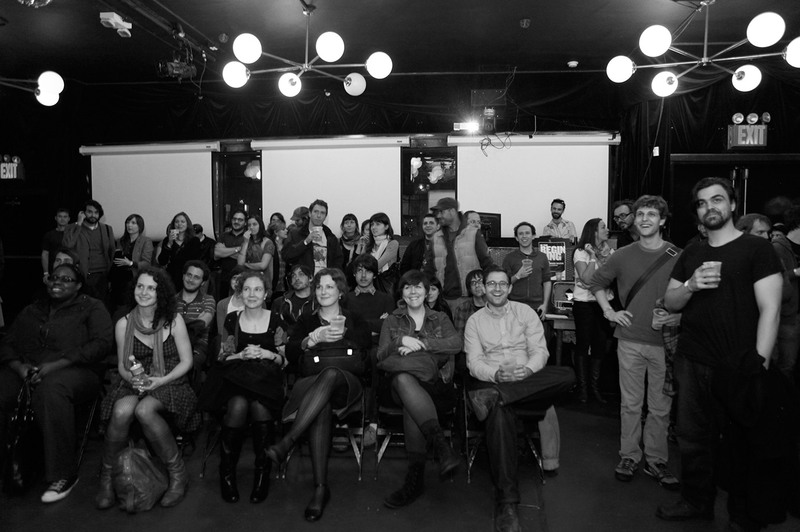 We currently meet on Tuesday nights at UnionDocs in Williamsburg. Of the 50 [members], there’s usually a cycling group of around 25 to 30 who will show up. We have this spreadsheet, and each week there are slots you can sign up for. Usually three slots. If you have a feature film you want to workshop, you’ll take the whole night. If you have a short, you’ll just take 30 minutes. If you have a script, you might need longer. Really, anything from concept to completion is welcome in the Collective. If you want advice on festivals, marketing, whatever it is. I won’t get into the nitty-gritty. But there’s a moderator, and you’re called on to speak and give feedback. One thing we pride ourselves on is the quality of feedback given by the Collective. A lot of that is because we really get to know each other and each other’s work, which is meaningful, as opposed to some public feedback where you don’t know the people. How are you supposed to know whether to take that feedback or not? But let’s say Shahir says to me, “I had a really hard time with the ending. I think you need to speed up the pacing.” I know Shahir’s work. I know he’s a good filmmaker. So I’m able to make a much better decision about what I do with that feedback. So you guys organize the way feedback is given? Alex: That’s another thing we’re proud of. 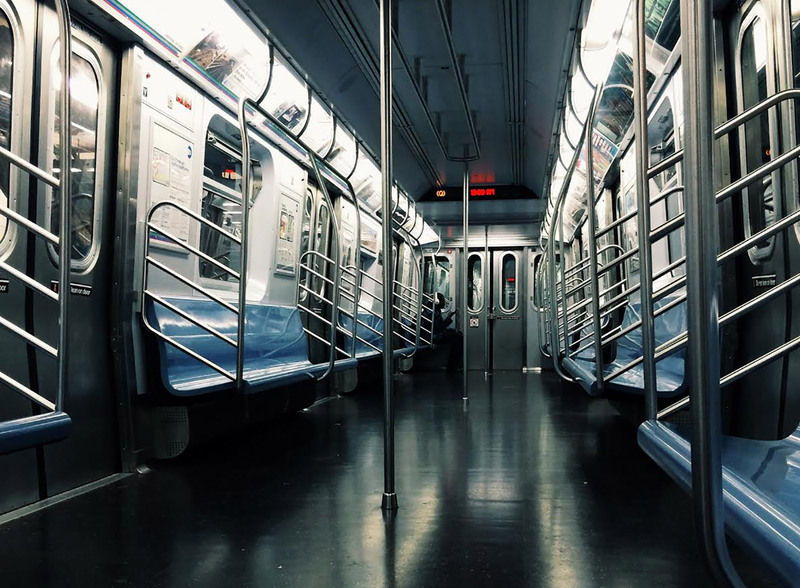 When you have a group of 30 people, it’s easy for voices to be marginalized. You want to say something, but you end up fighting over each other. In the Collective, if you want to speak, you just put a finger in the air and then the moderator will wink at you or whatever and put your name down on a list. We go down the list in order, and you have to speak in turn. This helps people who might otherwise be marginalized. They don’t have to be assertive or aggressive. They can just wait. The other cool thing we do is if somebody says something you agree with, you do like a jazz hands thing. Like twinkle your hands in the air — like twinkle fingers — which sounds silly. But if you’re presenting and you look around the room and everyone is doing jazz hands at you, it’s a silent way of knowing there is this consensus in the room. That sounds pretty weird but also very affirming. Shahir: (interrupting) Having this structure and order is actually very important. If you have a room full of people who are like me, who jump in and interrupt people all the time, it’s a very efficient way of getting constructive feedback. Lily: There’s a real art to critique. It’s something we’ve had to learn over time. Alex: So, getting back to the structure. The weekly meetings are more or less all we do. But we also have this website with all of our profiles on it, and very vibrant LISTSERV where people post jobs and questions and ideas and musings and GIF animations. It’s a great resource. There’s no mandate to be involved at any level beyond that. But of course we all end up with these informal relationships that just happen naturally. We’re friends. We hang out. When you have an idea for a film, the first people you think of to work with are people from the Collective. Filmmaking is very collaborative, and if you don’t have people around you that you can trust, it’s a lot harder. Another thing that’s very attractive about the Brooklyn Filmmakers Collective is we are starting to have this brand. When a film goes out, it goes out as a film by, say, Lily Henderson, but it also goes out as a film by the Brooklyn Filmmakers Collective. What happens is that a rising tide lifts all boats. When one benefits, we all benefit. We’re all under that banner, and it’s a banner that people are starting to recognize. 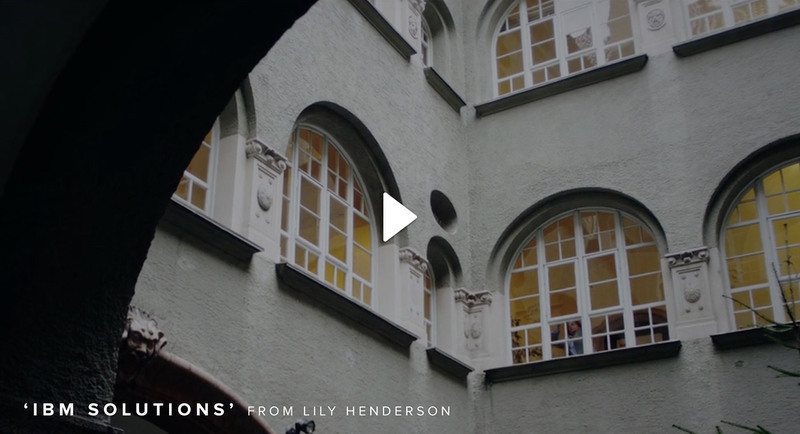 Lily: It’s taken years to gain that kind of reputation, and we’re just now starting to get more people interested. We have 150 applications for 10 slots every year. Four years ago, we only had 50 applications. It’s getting competitive. What do you guys look for in an applicant? Who’s a good fit? Lily: But seriously, diversity of style and diversity of background is very important to us. Alex: We have a rubric that we use to decide if someone is a good fit: mastery of craft, clarity of vision, perspective, and value added to the group. We’re interested in what kinds of films are being made, but we’re also interested in the vision behind those films, and we’re interested in who’s making them, and we’re interested in why they’re making them. I think a lot of filmmakers are used to getting a lot of criticism, but fewer are used to giving it. Is giving feedback at the Collective as much a benefit as getting it? Lily: I think so. Definitely. Lily: By giving feedback, you learn what you’re passionate about. I might sit there watching someone else’s film, and it’s not at all similar to what I do, but I’m reacting very strongly to it. I’m feeling very passionate about some clip they’ve shown. It makes you ask yourself, Why am I so excited about that? It refines your own artistry. A lot of the feedback and criticism filmmakers receive is digital. Comments on Vimeo or whatever. Are there benefits to being in the same room with people? Lily: I don’t think watching films is a digital experience. We may watch films digitally, but we are not digital ourselves. As filmmakers, we need to know what it feels like to sit in a room with the people who are seeing our work. That is extremely valuable. Shahir: Plus, there is this cool thing where everyone in the room is a film lover. Like everyone will go together to see a Tarkovsky film. I couldn’t find three friends of mine outside of the Collective who’d want to see an Andrei Tarkovsky film. So that’s valuable as well, being a part of a community of people who love film. Alex: I love that. I love the gang. 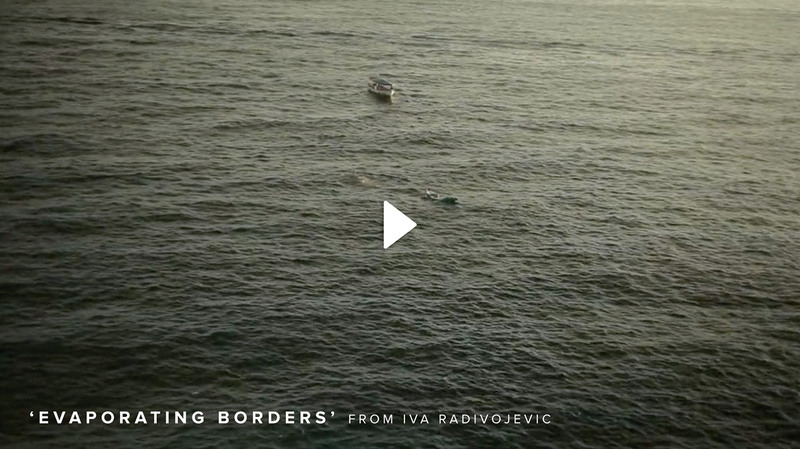 One of our members, Iva Radivojevic, just put out this feature called Evaporating Borders that is making the festival circuit. 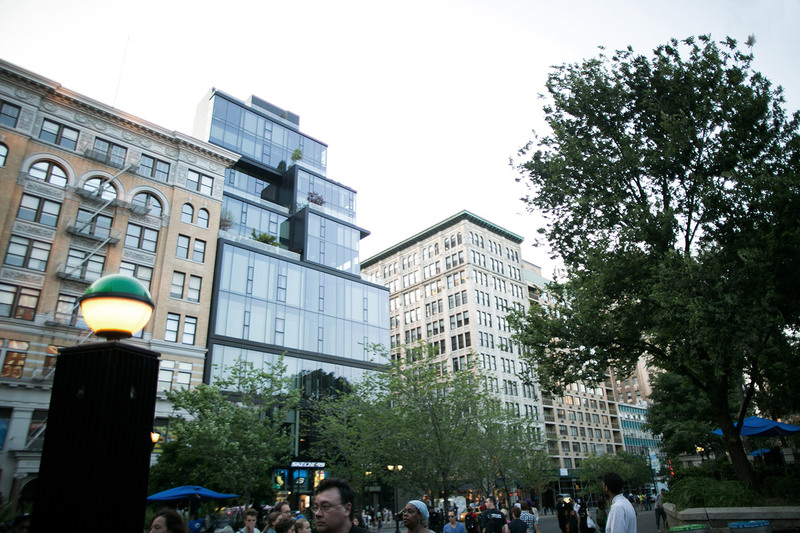 And when it came to New York, a bunch of people from the Collective showed up to see it. You look around and see all these friendly faces, and it feels like a triumph. To be supported, to feel like you have this posse. It’s not so common in the filmmaking world. Does having that kind of support affect your work in any way? Alex: It makes me more confident. Even before I start to shoot, I have in the back of my mind that I’m going to bring this to BFC and they’re going to help me make it good. Shahir: It makes me want to be a better filmmaker. Outside of the BFC, I don’t know a lot of other filmmakers, so I tend to feel like I’m working in a vacuum. Lily: I’ve had this conversation with a lot of other BFC members when we go get beers after a meeting. Sometimes it feels like this huge confession. I’m like, “Sometimes I’m in my office, and I’m staring at my computer, and it’s like hour 15 of the day, and I’m replaying this certain clip over and over again that I can’t get right. And I ask myself, Why am I doing this? Why am I a filmmaker? This is insanity. Why don’t I just do something else with my life? I feel like walking out the door and forgetting it.” I tell this to other BFC members, and they’re like, “Me too! Me too!” I can’t tell you how many people I’ve had that conversation with. I feel like everyone has been in that dark space before. And it’s nice to share that with other members so everyone can commiserate together. Would you guys have advice for someone wanting to start up a collective in their city? Alex: Keep it simple. Start small. Put an ad in the paper and reach out to some filmmakers you know. Set a consistent meeting time. That’s all you have to do. Everything else will happen organically. And reach out if you need to: info@brooklynfilmmakerscollective. We respond to every email. Lily: I would also say, ask yourself what kind of filmmaking community you want. It’s very much about personality. It’s about the people who are going to bring a lot of spirit to that collective. Even if they aren’t necessarily professional filmmakers, you want that diversity of voices and opinions. People who are passionate about creating good, original work. Shahir: One thing I’ve seen is how important it is to be organized, to have a system. At first I thought we were just going to talk about each other’s films. But over time, I’ve come to see how having the structure we do is really important. That reminds me, I was talking with someone recently about the values of film school. I think one of the unspoken, but primary, values of film school is the community of filmmakers you become a part of. 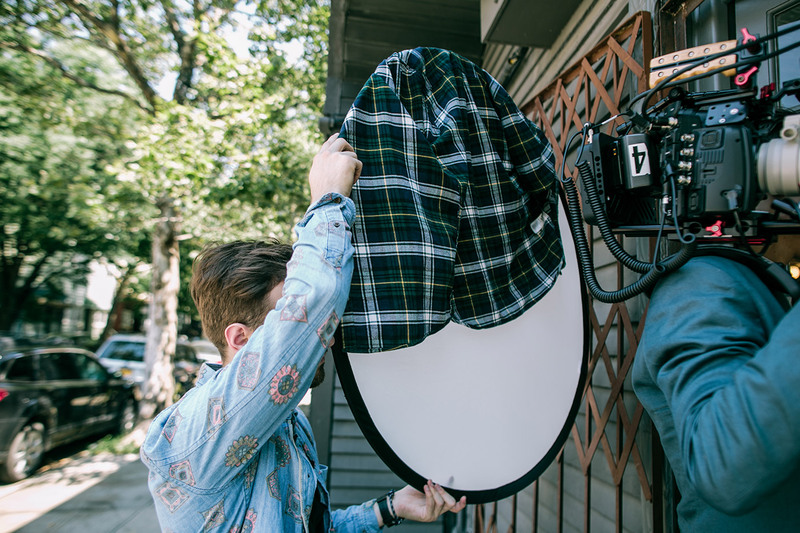 Something like the Brooklyn Filmmakers Collective gives you the benefits you’d get in film school, but you don’t have to pay thousands of dollars. I always thought I’d missed out on something by not going to one of the big film schools. But now I feel like I’m getting the advantages. Thanks to the members of the Brooklyn Filmmakers Collective who were willing to share their experiences/wisdom with us. We love what they’re doing, and we hope to see more collaboratives and communities spread around the world.